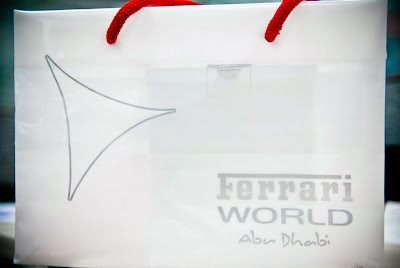 Thanks to my friend YQ for the gift he got me from his last visit to Ferrari World in Abu Dhabi, UAE. This his 2nd visit to Ferrari World, although he's not into sports cars. he is more into big luxurious cars. 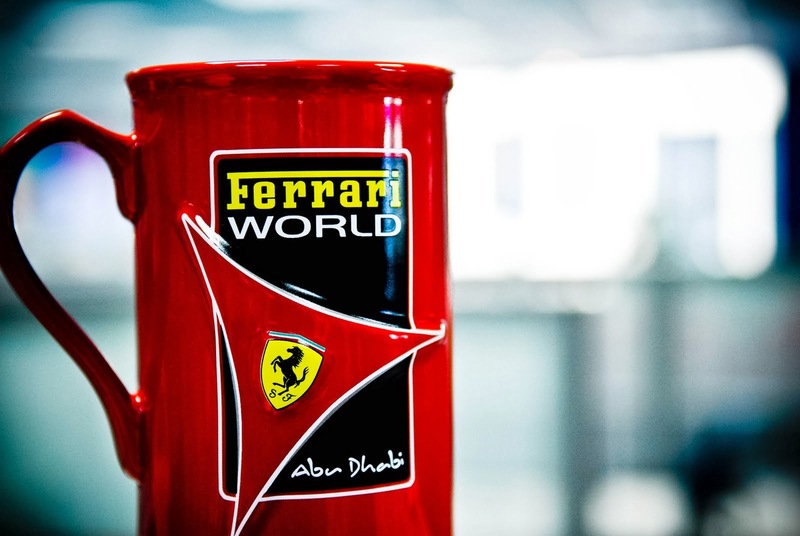 Many people asked me : "How's The Ferrari World experience ?" and I shock them when I said I have not been there yet. The reason why I am waiting is that so many people went there and didn't get the chance to ride most of the roller coasters they have because of some technical issues. I want to go when everything is ready and working fine. 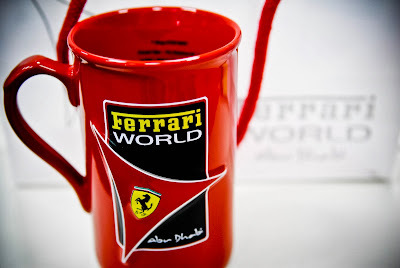 Thats a cool mug :D but hey, whats written inside? YQ : mashkooooooor, it is not the value of the gift that matter, but at least you remember me. And actually got me something.. I don't think you got 20 mugs for everyone you know. Pauline : it is safe, don't you worry. I will adopt your nephew..
Or buy him if he's for sale. Vain : this is exactly what I am trying to do. Wait until they get everything done, then ask someone to get the VIP tickets which are about 25 kd, but you jump the queue. Well make sure to tell us when the good time is, coz I wanna check it out too! Enshalla when I get time to visit, probably it will be in February. I will let you know what the outcome will be. Give it to me Stiggy! Expat : in your dreams! Yeah I'm doing the same thing. There's no point of going if you can't experience it all..! !